Before the Internet individual computers were used to accomplish general tasks: such as word processing; spreadsheets etc. 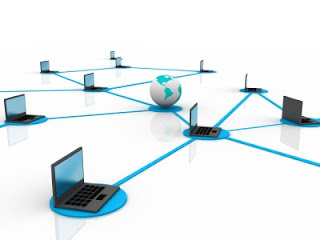 The Internet allowed computers to be massively interconnected, allowing a user to access many other computer's resources. Now the Cloud is moving these basic tasks to work on the Web, allowing users to work on their documents etc from any computer. The irony of the Cloud is that an unconnected computer becomes useless, as all documents etc are in the cloud. The advent of the cloud has turned a useful general purpose tool into a type-writer with no ribbon. "are programmers the only people have a use for a disconnected computer any-more?"